The National Youth Brass Band of Scotland was formed in 1958 by The Scottish Amateur Music Association (SAMA). In March 2011, the Executive Committee of SAMA decided to wind up the association having achieved a huge amount in the previous fifty three years in a wide range of musical areas. The Scottish Brass Band Association (SBBA) was then delighted to take over as the parent body for the NYBBS. From its inauguration to present day, the organisation’s musical development has been supported by a number of significant conductors: Bryden Thomson, Geoffrey Brand, Richard Evans and present Musical Director, Russell Gray. ‘Jack’ Thomson was one of the finest orchestral conductors Scotland has ever produced. Indeed, his tenure as NYBBS conductor coincided with his appointment as Associate Conductor with the SNO. His untimely death in 1991 at the age of 63 was a cruel blow to music, but his legacy lies in the fact that the brass band repertoire is infinitely richer be-cause of his involvement with SAMA and the NYBBS. Geoffrey Brand took over as Musical Director in 1971 and his influence over the young players and banding in Scotland in general was quite profound. Geoffrey led the band on tours of Switzerland, Orkney and Denmark as well as at many high-profile concerts. 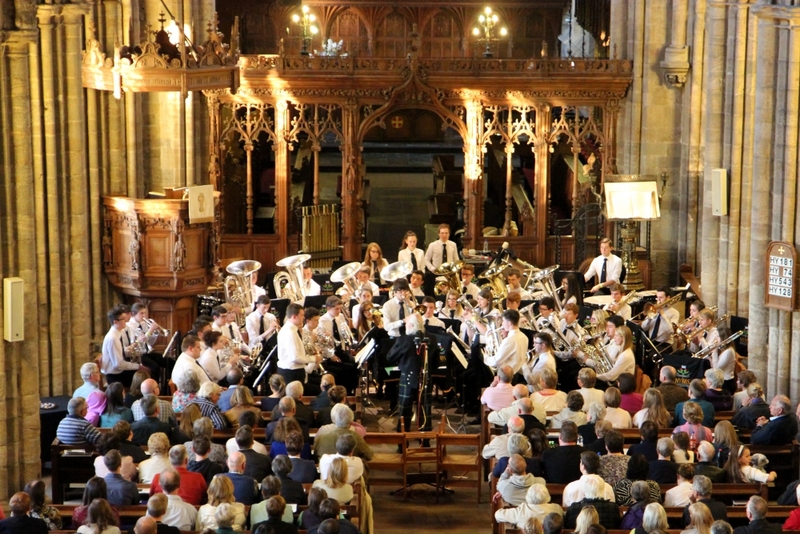 During Geoffrey’s 20 year tenure, NYBBS also became the first ever brass band to perform in the official Edinburgh Festival performing the critically acclaimed ‘The Peat Cutters’ by Sir Pe-ter Maxwell Davies. Following Geoffrey’s decision to stand down (along with Course Director, Brad Catto, who had dealt with the band’s administration for those twenty plus years), Richard Evans was invited to conduct in 1992. His energy and enthusiasm during his 21 years as MD dramatically shaped and developed the band musically, as well as leading them in unique performance opportunities during this time, including a prestigious tour of Japan in 2008. Following Richard’s decision to leave the band in 2013, along with the departure of Course Director, Neil Cross, who had been associated with the NYBBS for 34 years, Russell Gray was appointed as the new Musical Director of the NYBBS organisation and made his debut appearance in this capacity at the 2014 Senior Band NYBBS Easter Course. Russell has already had a long association with NYBBS, having joined as a member in 1982, after which he became the band’s principal cornet for 9 years. He has since attended as part of the tutor team and in 2013, at the invitation of Richard Evans, participated in the 2013 NYBBS Summer Courses as Guest Conductor. In addition to a long-standing and distinguished career as a cornet soloist, Russell also enjoys an international reputation as a conductor of a variety of ensembles and NYBBS are looking forward to benefitting from his widespread musical experience.